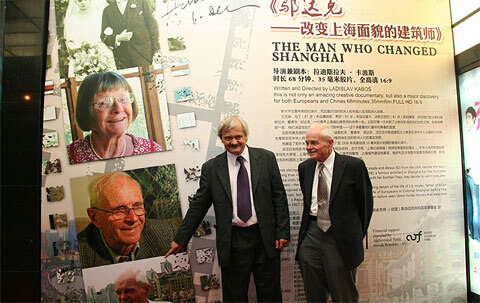 A huge billboard appeared in front of the Grand Theatre in the heart of Shanghai’s People’s Square on Thursday, September 2, it invited local and international audiences to the world premiere of the first documentary portraying the life and work of the distinguished Shanghai architect Ladislav Hudec. 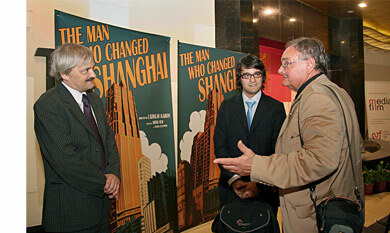 Called “The Man Who Changed Shanghai,“ the film was made by Slovak director Ladislav Kaboš. Initially, this daring idea seemed to be only wishful thinking. 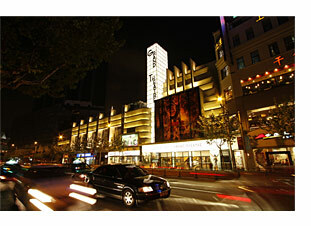 Hudec’s Grand Theatre is part of a chain of Shanghai multiplex cinemas, owned by Hong Kong businessmen. Would the author of the documentary succeed in arranging rental of the cinema? 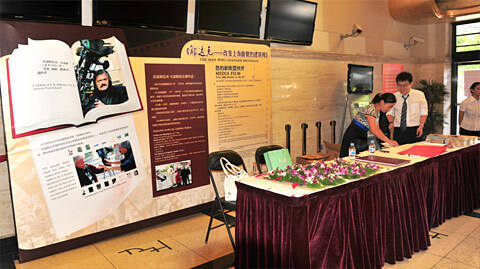 Furthermore, documentaries are not usually shown in Chinese cinemas and that is why the Chinese audiences are not accustomed to go and see such films in movie theatres. Would there be enough spectators to fill such a large theatre? The exhibition EXPO Shanghai 2010 had then been going on for several months, bringing every day numerous offers of interesting cultural events from all over the world. 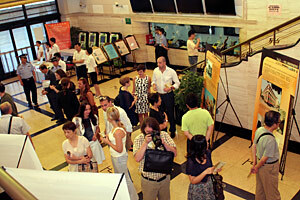 Thanks to cooperation with Shanghai museums the lobby of the cinema was turned into an exhibition hall for the premiere. 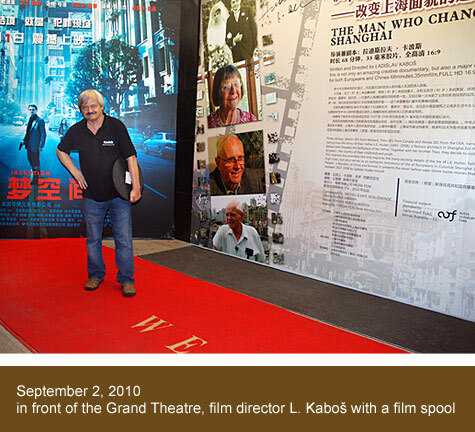 Advertising panels with text in Slovak and Chinese were specially made for the premiere, introducing some remarkable buildings made by L.E.Hudec as well as the personality and works of the Slovak film director L. Kabos. 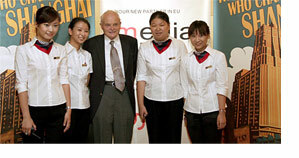 Theo Hudec, the 85-year old son of architect Hudec from Victoria in Canada, also accepted an invitation by the MEDIA FILM company to attend the world premiere of the documentary held on September 3, 2010. The cinema whose current capacity is 1,350 spectators were packed to the last seat. Politicians and cultural figures of the People’s Republic of China and other distinguished international guests came to the event. The authors of the film as well as the entire auditorium, filled to capacity, were greeted by President of the Slovak Republic Ivan Gasparovic. “This is a very interesting documentary and I would like to thank for that all the people involved, particularly the director as well as Ladislav Hudec’s children,“ the Slovak President told the audiences. In Monaco, Canada and the United States, film director L.Kabos succeeded in tracing down and finding all the three children of architect Hudec, each over 80 years of age. Their authentic recollections of their childhood and youth in Shanghai, coupled with the hitherto unpublished film shots taken by L.E.Hudec himself, make up a remarkable portrait not only of the life of Europeans in China. Yian Wu, Vice-Chancellor of the Tongji University, and Wu Chen of the Shanghai Archives, who attended the premiere highly praised also other discoveries made by the Slovak authors of the documentary. “When browsing through the family archive of Martin Hudec in Monaco, our attention was attracted by a postcard bearing a note written by architect Hudec: This is my first sacral building. The sketches and blueprints for this, probably the very first, building designed by Ladislav Hudec, are kept in the Canadian Victoria University. As if by miracle, that particular building survived a large fire that gutted virtually the entire Slovak village of Vyhne, once a famous spa resort,“ director L. Kaboš explained to the journalists attending at a press conference in Shanghai. As a result, Slovakia can pride itself on the only building by the famous architect outside China. 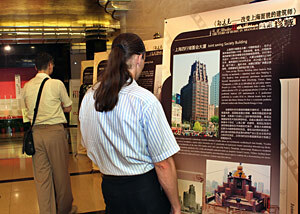 The authors of the documentary wrote about their architectural discoveries in a brochure called The Man Who Changed Shanghai and published in English and Chinese by the MEDIA FILM company on the occasion of the film’s premiere. Architect Hudec and his work was also one of the topics of a Hungarian-Chinese forum of architects called “Bridges“, organized by Hungarian architects in Hudec’s Park Hotel on September 2. At the gathering, Hungarian architect Peter Janossy, a great-grandson of the famous architect, presented his own monograph devoted to Hudec. 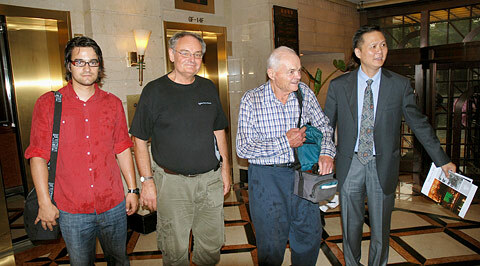 He had no idea he would meet in Shanghai his own great-uncle, son of L.E. 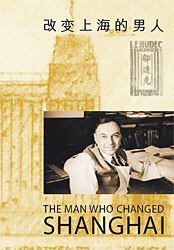 Hudec, who was introduced to him by the authors of the documentary... They had also invited the Hungarian architects and diplomats to the premiere. President of the Hungarian Association of Architects E. Kálmán as well as the Hungarian consul at the World EXPO in Shanghai V.Nagy-Simek both highly praised the film. “Many findings presented in the documentary were new to me, too. From now on, we have to work together on the Hudec project,“ L.E. 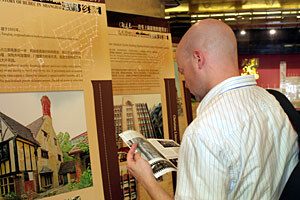 Hudec’s great-grandson, Hungarian architect Peter Janossy confided. ”I think that the Shanghai premiere and many face-to-face meetings have greatly improved Slovak-Hungarian relations as concerns the interpretation of the life story of L.E.Hudec.“ added director L. Kabos. 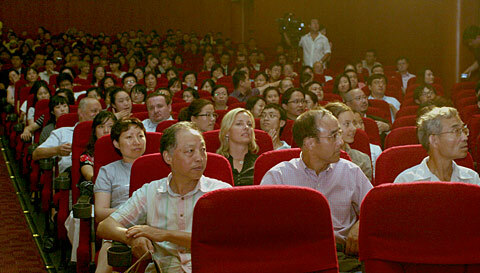 Kabos’s documentary has not only made Slovakia visible in China but also attracted the Chinese audiences as a magnet: ”When I have saved enough money, I will definitely go to Slovakia, since I would like to see the country where our “Udac” (this is how the Chinese pronunciation of the name Hudec sounds) was born and where he grew up,” one of the managers in the Grand Theatre said... The shots showing Banska Bystrica, the village of Vyhne as well as the unique films made by Hudec himself will keep reminding the Chinese, long after the end of the World EXPO exhibition, that the father of ”Asian skyscrapers“ came from a country called Slovakia. The full-length documentary by Ladislav Kabos The Man Who Changed Shanghai was also premiered by the Slovak Television’s channel STV 2 at 8:00 p.m. on September 3. 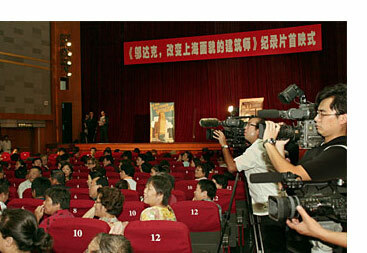 A few minutes earlier the Slovak Television, in its news program, broadcast a report portraying the atmosphere at the world premiere of the documentary in Shanghai.